A UoN Student took one of her course modules to the extreme by shooting a music video in the middle of a desert. 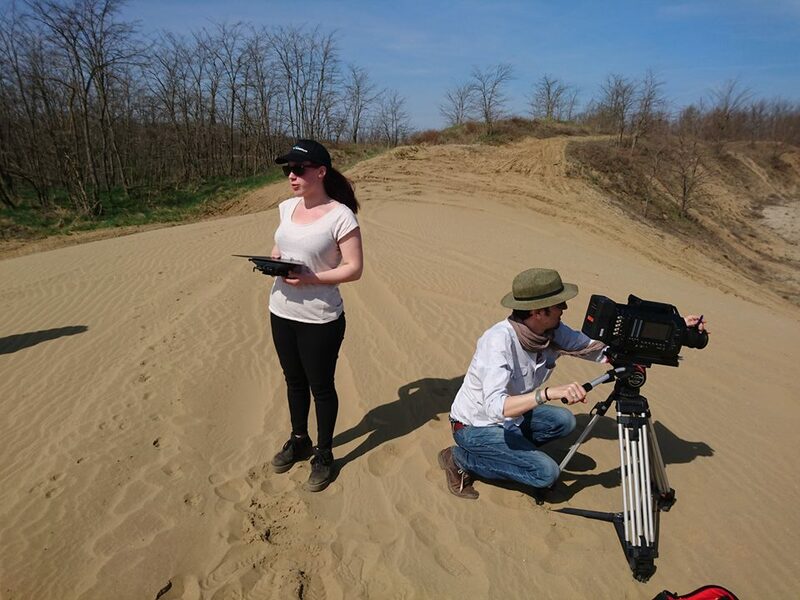 Laura Roklicer jetted out to the little-known Durdevacki Pijesci desert, in her Croatian homeland, with Northampton indie band Robbing Dogs to film the promo video for their first single, Sorry Not In Service. The ambitious shoot was part of her creative video module within her Media Production & Moving Image course. The video, which has had more than 18,000 YouTube views within a week of its release. Laura called in favours from her Croatian contacts to help her achieve her cinematic vision. As a result, she was backed by a full film crew and had hugely expensive cinematic equipment from the biggest production company in the country at her disposal. “The run-up to the shoot was very stressful, and involved a lot of planning months ahead,” said Laura. “But when the day came, I’d never felt better or more excited. I had an amazing crew, a professional director of photography, jib and dolly operators and runners. Not only did Robbing Dogs benefit from a professional video, Laura also managed to fix them up with a music producer to record the single. Laura has been combining her studies with running her own production company, which sees her produce, direct and edit. She said: “My dream job would definitely be directing films, music videos and so on – and to travel the world as a freelancer. My lecturers are absolutely amazing and they’ve been so approachable and helpful on so many occasions, from giving advice to offering opportunities for exciting work. If you’re just sitting around in lectures expecting to get a job with just a degree, you’re in the wrong industry. But if you’re working on building your portfolio whilst studying, just ask for help and I guarantee you you’ll get it. I’ve got internships, my lecturers have helped with the whole music video process and opportunities for other work, applying for grants, volunteering and even an awesome job for a TV show aired in eight regions across the world.